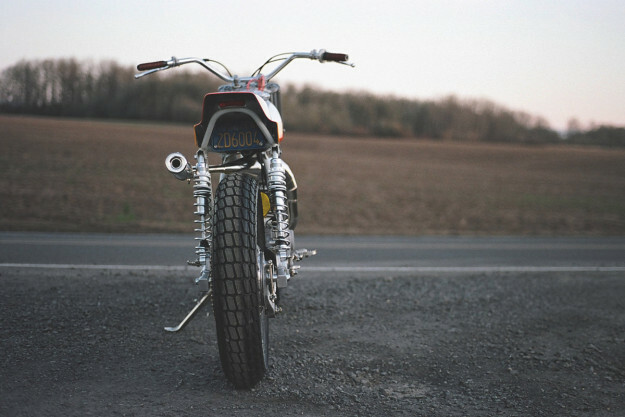 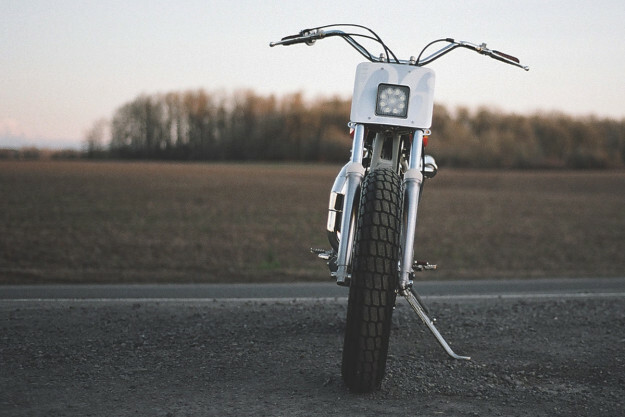 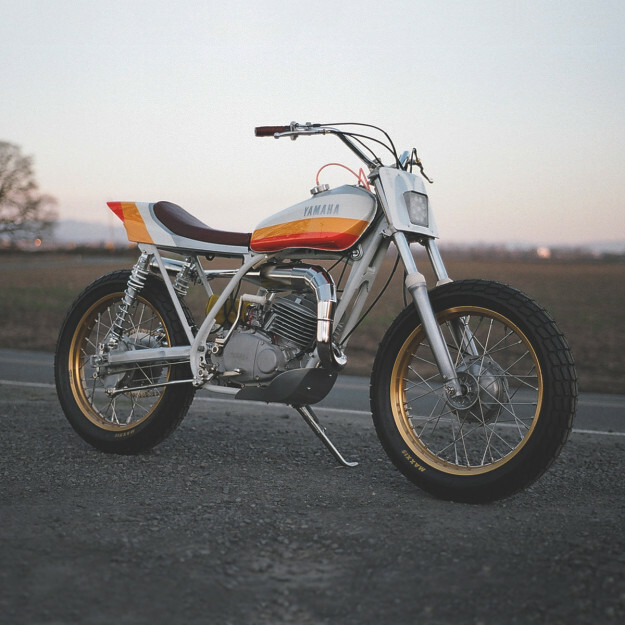 Every year, hundreds of custom motorcycle lovers descend on Portland, Oregon, for the One Motorcycle Show. 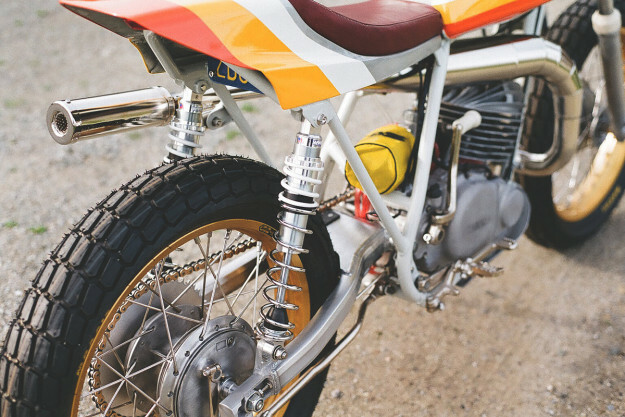 This year Wayne Corbett and Gabrielle Jones of One Down Four Up made the trip, and left with a trophy. 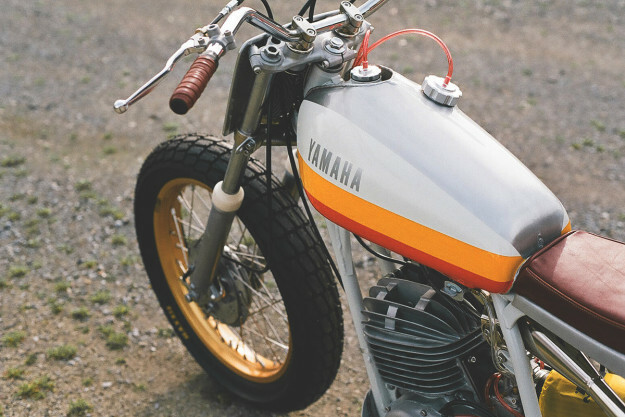 Between the two of them, Wayne and Gabrielle handle all design, repairs, fabrication, upholstery and photography in-house. 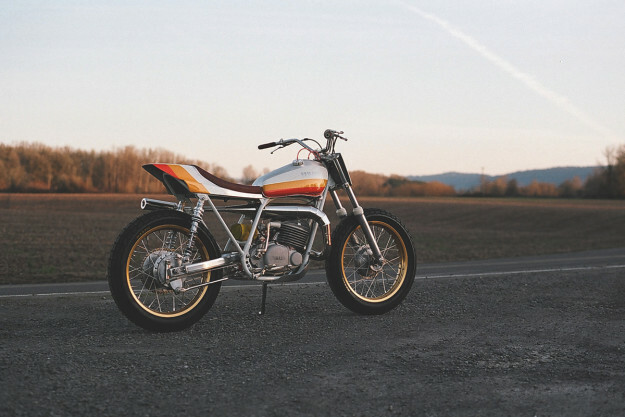 With fresh inspiration, they decided to turn the Yamaha DT250 into a flat tracker—taking additional cues from the AHRMA vintage flat track class guidelines. 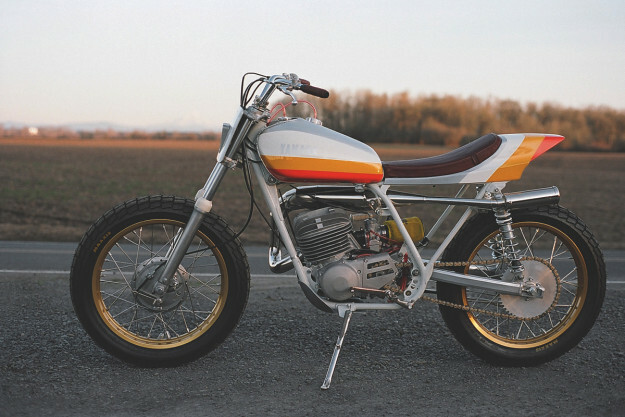 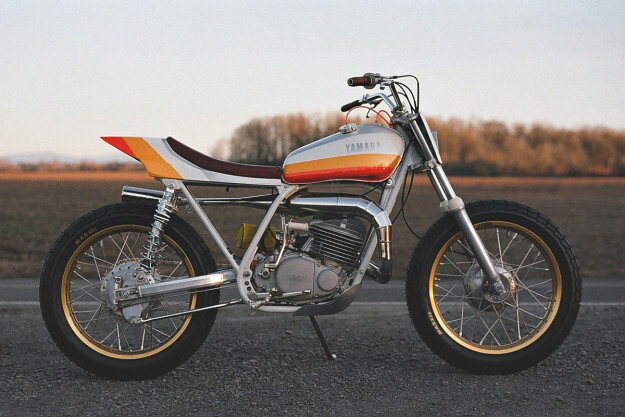 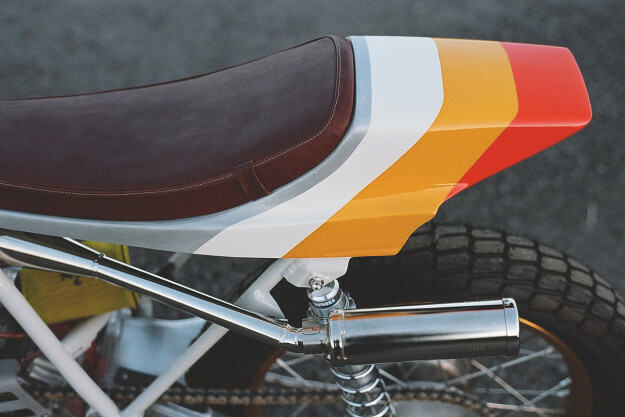 As a nod to the old Bell that inspired it, the Yamaha DT250 was finished in a delightfully vintage white, orange and yellow scheme.